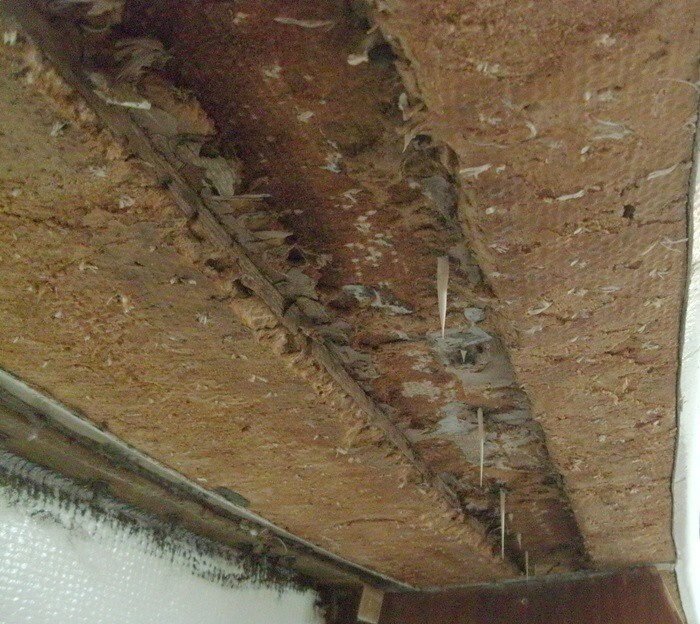 An issue that has come up is our deck that is beginning to make more and more crackling sounds in various locations, it is the least noticeable on top of the coach roof and the strongest on the sides of the deck and around the chain locker. As far as I know the crackling comes from the fact that the laminates have lost their adhesion to the foam, so what is the best fix for this issue? -Are there other fixes that I have not considered but should? Since any of these repairs will involve drilling holes in the deck, I want to combine this with painting the deck with 2k polyurethane paint (awlgrip or something similar) and as we are just wrapping up a CopperCoat job I am in no mood to tackle this project this year. However, I would love getting this planned and would enjoy some input! Hi Marius. The worst places for water intrusion on our 1972 Ballad were: mast partners, aft of foredeck cleat, chainplate eyebolts, and genoa tracks. The eyebolts had putty/bog solid cores, but they were often poorly located & the drill missed them. The mast partners had no real protection at all. and the foredeck cleat & genoa tracks had solid timber, probably fir, as a core. On our boat, these got soaked and rotted to gravy, leading to a 25x25cm delaminated 'bubble' on the foredeck and some crackling on the sidedecks. The foredeck area I recored with solid phenolic from below, then later cut out the delaminated bubble from above and re-glassed it. The mast partners I entirely cut away from above, then epoxied in a 'horse collar' of phenolic and glassed it slightly higher than the surrounding deck, to shed water. We went overkill here because we will be attaching turning blocks to bring halyards back to the cockpit. 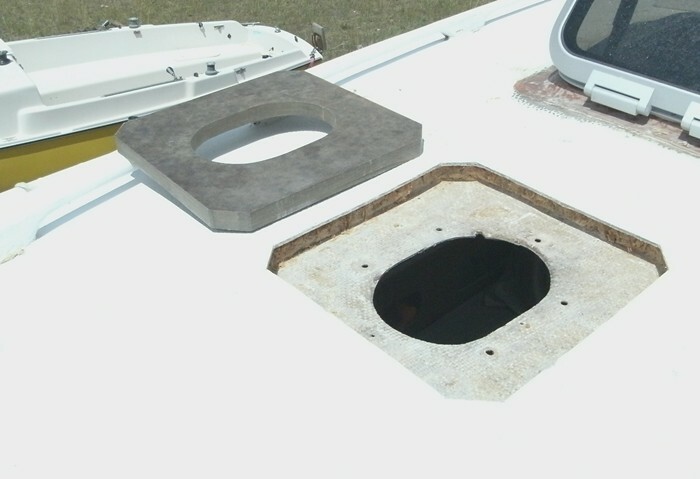 The big collar gives structure to the deck around the mast collar. The forward chainplates I recored with 8x8cm phenolic blocks from below, then reglassed those in place. The two aft eyebolts and the genoa tracks were a much bigger deal. I did the work from below, which is incredibly tiring & messy and only makes sense if you are gutting the interior anyhow. I peeled off the entire inner skin under the side decks, from the main bulkhead back to where the cored section ends, at the companionway bulkhead. That empty slot is where the rotten timber core was located. Then, after leaving it open to dry for some weeks, I epoxied phenolic blocks where the chainplates penetrate and dense foam core material (like CoreCell) where the genoa tracks bolt thru. 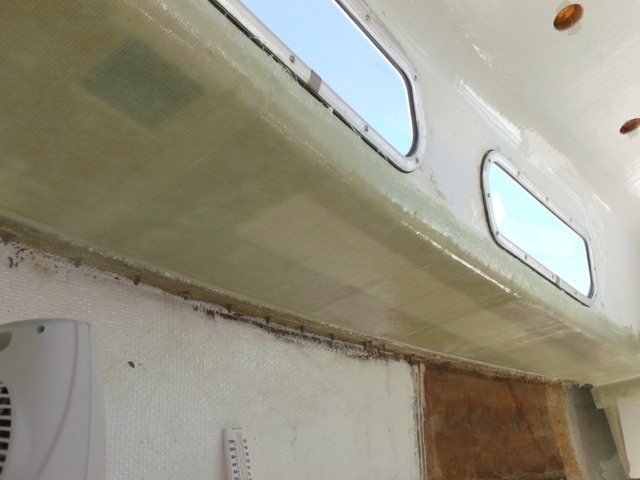 Then I laboriously re-skinned the sidedecks in biaxial fabric and 10oz woven fiberglass cloth from below, which is as much fun as it sounds! You can see the light replacement foam, the dark square of phenolic, and the 4mm layup wrapping around to window height. Also some lumpy seams, which should bother me but do not. They'll mostly be inside cabinetry. Thanks for the great write-up Bob! I will want to repaint the deck in the very near future anyways, and will before that check out what lies beneath!